Grammys 2013 - Shortlist - Best New Artist - Pop! Bang! Boom! It’s that time of year again. Time when my schedule as a pop blogger goes NUTS. It has already started, but things are only going to get worse (better) from here on out. More and more albums are released, and with new albums means new singles. Add on to that the fact that the Grammy nominations are announced in early December, and you can see why I’m going to be a busy, busy boy. 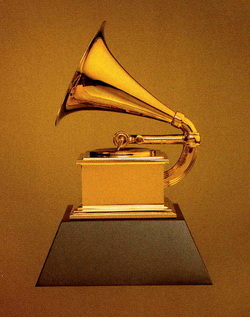 I’d like to write some posts on the Grammys if you all don’t mind. The official nominations will be announced on December 5th at a big live TV spectacular (as they have been for the past few years), this time from Nashville. I want to speculate about some of the categories though. Guessing what will get nominated from an essentially unlimited field is tough, and I always feel good about myself when I’m right. Picking who will win out of the five nominees is fun, but this one requires some REAL thought and research. Thankfully I did some of said thought and research, and I want to write a couple of posts discussing what may or may not happen on December 5th. I’m going to make what is called a shortlist – ten or so choices, any of which I believe may make it onto the final five slots. It’s not cheating – it’s what the pros do! I know that a group like Karmin won’t make it into the running in a year with so many great talents, but it hurt me too much to take their name off my list. I do love them so. Who else was here, but didn’t make the “shortlist”? Mac Miller, Hunter Hayes, Walk The Moon, Scotty McCreery, and Kimbra. Gotye is going to get all the credit for their “Somebody That I Used To Know” smash (as well he should). Good start. Let’s keep talking. Note: I wanted to put Ellie Goulding on here, but she is not eligible. Your debut album (the one that introduces you to the public) must be released between October 1, 2011 and September 30, 2012, and ‘Lights’ came out in March of 2011, meaning she would have had to have been nominated last year. Having said that, it looks like she may have actually been submitted for consideration. I don’t know how that would work, but if she is somehow eligible, than throw her high up on that list as well.